"Why name your restaurant Marina?" 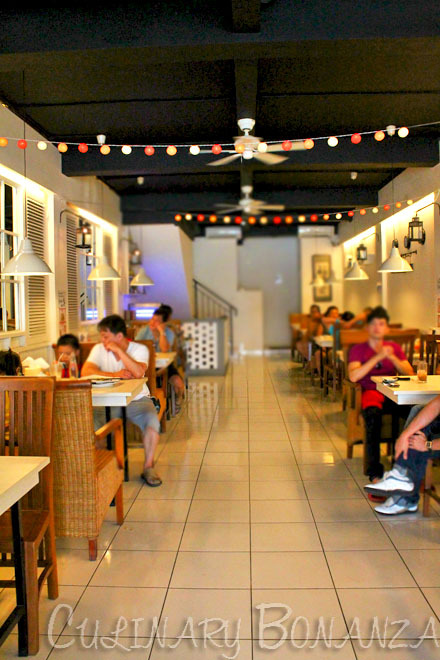 was the first thing I asked the owner, Ms. Chia Savitri. The answer was surprisingly simple: because "Marina" seems to be very popular nowadays (Marina Bay, Marina Bay Sands, etc) and it is steeply associated with Singapore. 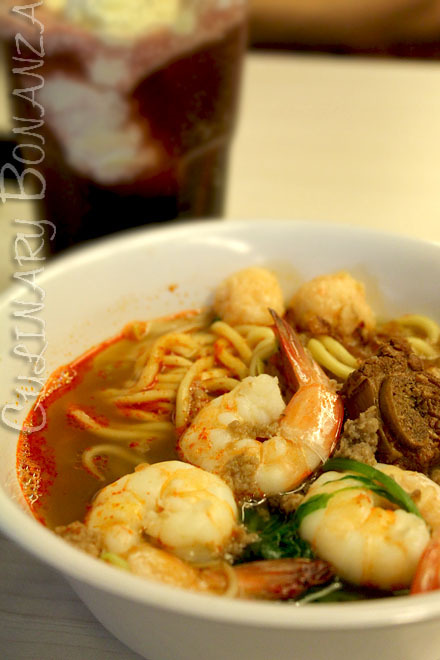 As a fan of prawn mee, Chia had searched for the ultimate best in Singapore, without much success. That became an inspiration to open her own prawn mee house in Grenville area, west of Jakarta. Although I've spent 4 years living & studying in Singapore, to be honest, prawn mee or also locally known as hokkien mee or hae mee, had never been on top of my to-eat list, not especially because I'm not into thick noodles. When I would eat at hawker centres or food courts, I'd most likely look for prata or nasi lemak (talk about my tendency for fattening food!). So when Chia invited me over to try her version of Singaporean prawn mee, I gladly accepted it despite not knowing what to expect. The star of the menu is no doubt, the prawn mee additional topping of pork ribs is available too. Beside that, there are various versions of mee, kwetiaw (flat rice noodles), meehoon (vermicelli rice noodles) and fried rice. After indulging in the hot food (and the air conditioning didn't seem to be running well that noon), a glass of Badak Sarsaparilla float with Vanilla Ice Cream was very much welcome relief! 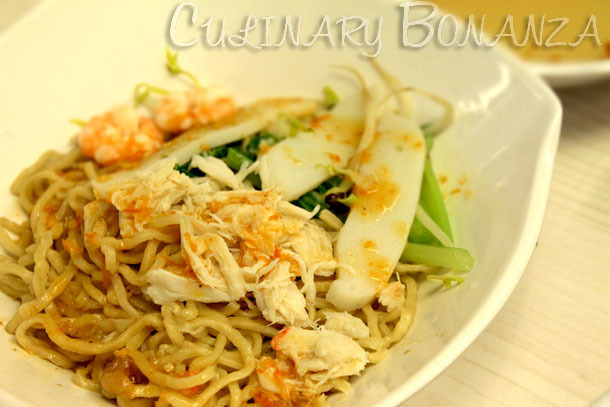 The broth of the prawn mee uses a secret method discovered by the owner by chance, the result? delicious, rich and tasty prawn broth that's lightly sweet but savoury and light on the palate. 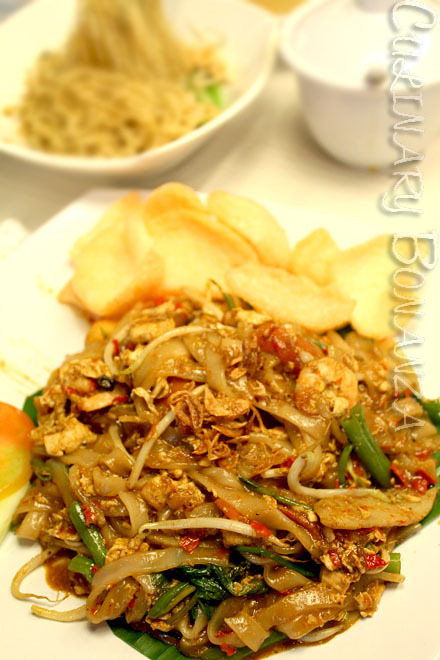 My Mum's favourite was the Kwetiaw Goreng Terasi that was slippery, spicy & fragrant. I'm the type who loves wet stir-fries, so this kwetiaw won me over, hands down. My Mum is rather picky when it comes to likes simple comfort chinese food, but she likes the food here. So well done, Marina! I think the price is reasonable too, the taste is worth the value. Would you like to try this?